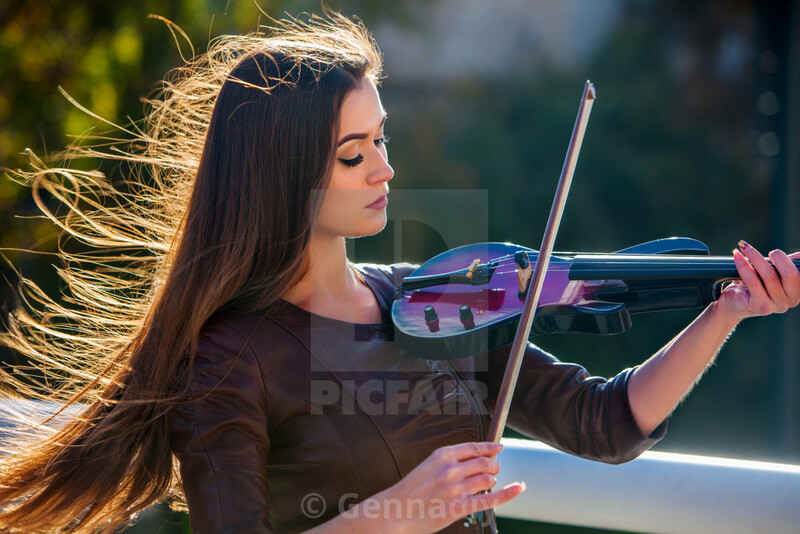 Busker woman perform music on violin in park outdoor. Girl performing jazz on city street . Spring outside with background. Busker woman perform music on violin park outdoor. Girl performing .